There are a lot more people in this country who have absolutely no intention of buying, much less owning a gun. 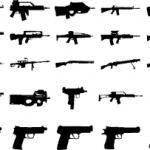 However, I know that they do understand that a situation may arise that puts them in a situation that might require a weapon. So what are some weapons for home defense, the non-lethal kind? 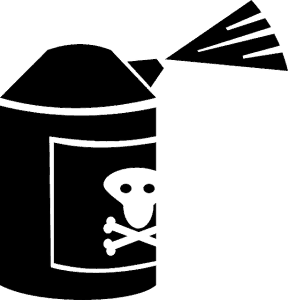 You will be surprised at the relatively easy ways you can defend yourself with ordinary, easy to obtain products you may buy at your local big box store such as a wasp and hornet spray which will let loose an irritating chemical 20 feet. I will go over some other weapons for home defense that might be a little more specialized, however, in this internet age, all are easy to obtain and will not hurt your pocketbook but will definitely hurt any intruder. While firearms are the weapons of choice to protect your home, they aren’t the only thing you can use. Almost anything can become weapons for home defense when the need arises. However, to transform an everyday object into an effective weapon, you must have already thought about how you will use it so that you’re ready when the time comes. 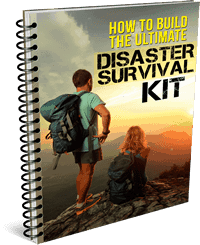 It doesn’t do you any good to do everything you can to survive any sort of disaster that might come along if you’re unprepared to defend your home. While we can all hope that our property never comes under attack, hope alone won’t keep us safe. 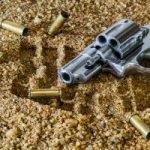 There is the chance you will need to defend yourself, family and your home, and will be glad you prepared yourself with weapons for home defense. In a crisis situation where there is a shortage of food, there is a pretty good chance that hungry people will be out looking for sustenance for their families. If they find out that you have a stockpile in your house, they may just decide that they need that food more than you do. Everybody wishes to survive and will do what it takes to provide for themselves and their families also. Your ability to defend your home in such a case may be all that keeps you and your family alive and happily eating. And it’s not just food. After hurricane Wilma pounded us and knocked out power for several weeks for thousands of people, home generators were being stolen right off peoples properties. While the generators were running. While their owners were inside their homes. So again I ask you: What are some weapons for home defense, the non-lethal kind? Wasp Spray. This irritant has one major advantage over pepper spray. In order to use pepper spray to defend yourself, you have to let the attacker get within about three feet. Wasp spray is intended for use at a distance of about 20 feet. That means you attack your assailant before he gets close enough to do you any harm. And there is a little more sense of security in that. Sonic Weapons. This was first developed for use in keeping modern pirate ships away. Some merchantmen and even U.S. Navy ships have them. You may buy small, battery-powered sonic weapons for use at home. When activated, they produce a sound that either makes the attackers nauseous or afraid. Either way, the effect makes it harder for someone to attack. Tactical Light. 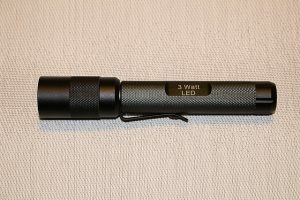 Many modern tactical lights are bright enough to momentarily stun, fending off an attack. Some even have a strobe mode, where they will flash rapidly, temporarily blinding and disorienting the attacker. These types of lights are all the rage right now on those ‘as seen on TV’ ads. While this won’t work as a permanent defense, it can give you the moment you need to grab a better weapon to fight with. The flare is fired out of a special 12-gauge shotgun shell, looking like a fireball. That’s enough to give anyone pause—even those who think that they are brave enough to charge into firing guns. There’s just something about having fireballs shot at the face that scares people. The flare gun itself is normally orange plastic so paint it black to make it look more like a “real” gun. Dogs. 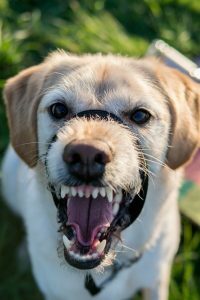 If you have large dogs for pets, they can be trained to attack and defend your home. Even people who are trained in the use of weapons will not know what to do when they are attacked by a dog. Dogs move so quickly that they are hard to fight. They can often chase off an attacker while you watch from a safe distance. Just the sound of a large dog barking is usually enough to ward off even the most brazen of intruders. It is a four-pointed star configured in such a way that, no matter how it falls, one of the points is always facing up. If a horse should step on the point, it will cripple him. Get one off those torches with its own lighting mechanism. You do not want to be fumbling with matches or a lighter while being threatened by some aggressive intruder. The biggest reason to have a variety of weapons available to you is that you don’t know when an attacker might try and gain entrance to your home. Even if you are a gun carrier. If you have a concealed carry license and develop a habit of going around armed, there will always be a time when you aren’t. Should an intruder come into your home while your guard is down, you may not be able to get to your gun. 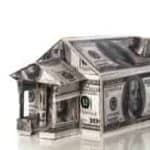 Having other options available, scattered through the house, greatly increases your ability to defend your home and your family. Can You Attack An Intruder In Your Home? I live in Florida, and yes, absolutely you may attack an intruder who is uninvited in your home. It’s called the ‘Stand your ground’ law. Do not be afraid to give that person a face full of wasp and hornet spray to stop them in their tracks. It’s your well being and your ‘stuff’ that is at stake. Just because he did not prepare does not give him or anyone the right to take advantage of you to gain access to something he does not have and wants from you. I always thought that these little ingenious things were a great weapon until I found out that they are illegal to carry. It is considered an illegal knife, but there is no law against selling the little things. 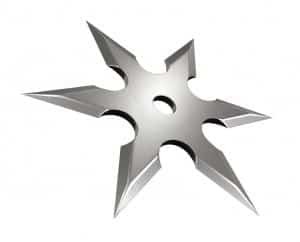 The ‘throwing star’ or what the ninja call the shuriken is not designed to kill but to distract an opponent. 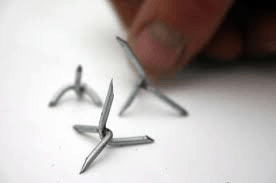 However, they can puncture the flesh and cause some serious harm to someone including knocking them out if you know how to use them. I brought this weapon to your attention as a way to inform you that not everything you might consider is fair game as a weapon for home defense. Because I would not want you to get in trouble for it. Check your laws and restrictions in your area. And remember that wasp and hornet spray!